Welcome to the #1 cambridge remapping company! You're looking at the #1 remapping company in Cambridge. Mobile Remaps prides itself on delivering the right remapping solution for your vehicle and you. This is why we've twice won 'Recommended in Town' awards from The Best of Cambridge. Using only Quantum Tuning files on all customer vehicles, Mobile Remaps will deliver the right engine performance to improve your driving experience. Remapping benefits include improved overtaking safety, acceleration, reliability, fuel economy as well as save you ££££'s in repair bills or the need to buy a new vehicle. Only Mobile Remaps has all its staff certified by the Institute of the Motor Industry (IMI). What this means is our staff have completed a unique training program and are qualified to remap your car as professional remapping technicians. Quantum trained remapping technicians are independently qualified and certified by the IMI, which is the only recognized remapping qualification of its type in the motor trade. Your vehicle is a significant asset and should only be worked on by qualified and experienced technicians. When you are having your vehicle remapped, you don’t want to get it wrong as mistakes can be expensive and inconvenient. Only let a suitably qualified professional remapping technician work on your vehicle. In short, insist on Mobile Remaps. For a no obligation chat on remapping your car, van, 4x4 or motorhome call Mobile Remaps today on 01223 855 491. Mobile Remaps can provide DPF remapping software solutions for most diesel vehicles. Before going down this potential DPF trap... why not visit our DPF Delete page here. 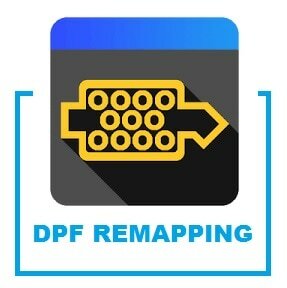 Or... for honest advice on having a 'DPF Delete' remap, call one of our mobile remapping technicians on 01223 855 491. If you have an EGR valve problem and want to have the right remap for your vehicle, then contact Mobile Remaps. For some vehicles, it's not wise to remove or blank off EGR valves and for other vehicles the blanking off or removal of EGR valves is the most cost effective solution! Before you start removing or blanking off your EGR valve give Mobile Remaps a call on 01223 855 491 and we'll be happy to give you our professional opinion.